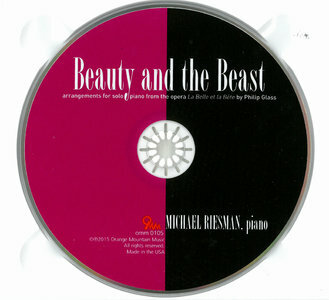 Following the recent successful albums of his transcriptions of music by Philip Glass, pianist Michael Riesman presents a new album of solo transcriptions and arrangements from Philip Glass's opera Beauty and the Beast. 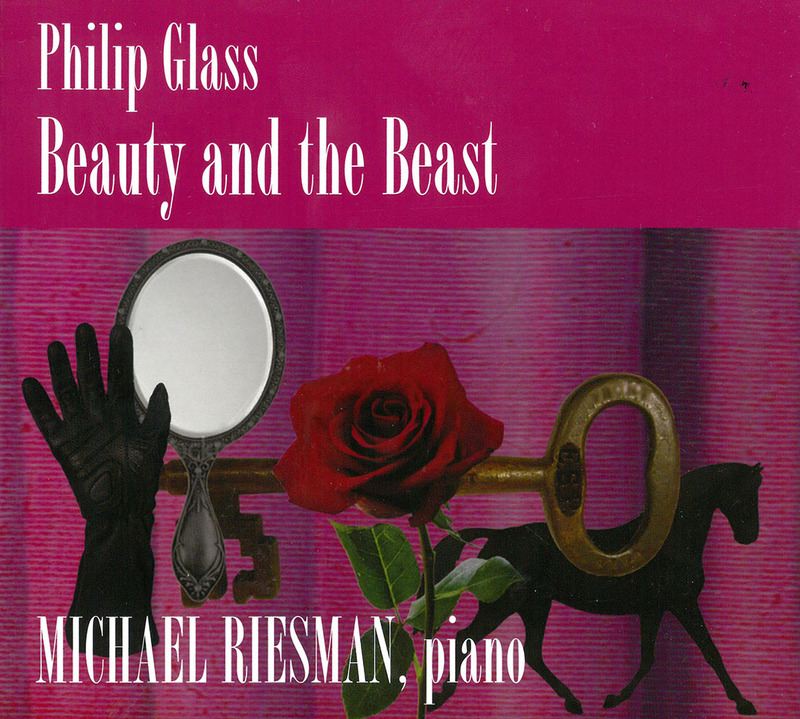 In Glass's music, the power of the creative and the raw world of nature, represented respectively by Beauty and the Beast, finally emerges and allows the world of imagination to take flight. 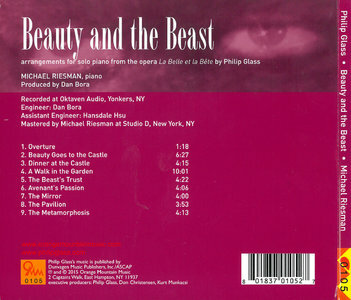 Philip Glass' Beauty and the Beast, better known by its French title La Belle et la Bête, is somewhere between an opera and a film soundtrack: it is an adaptation of the soundtrack to Jean Cocteau's film La Belle et la Bête (1946), adding operatic vocals that give voice to the silent film. 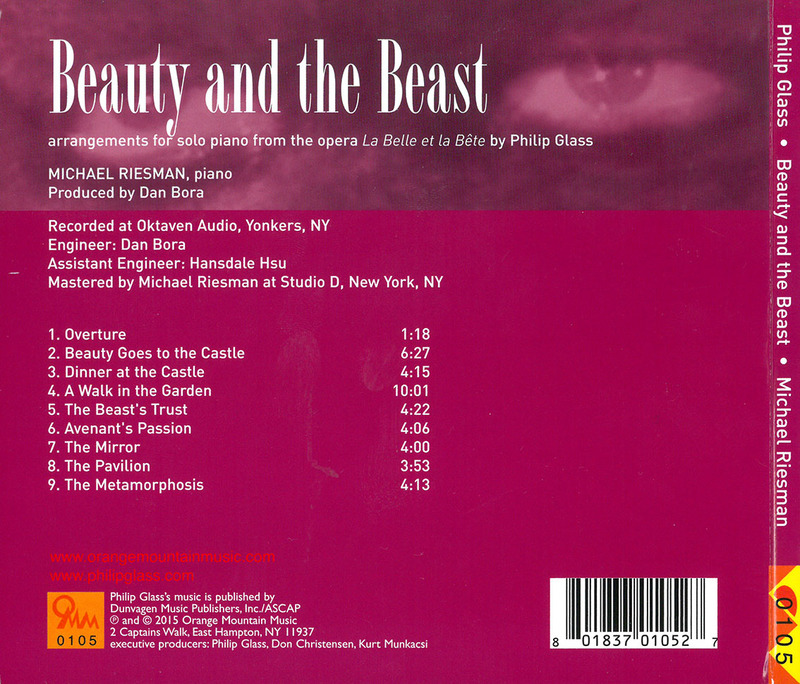 The work in Glass' original conception was suitable for either symphony orchestra or Glass' own small ensemble, and many works of Glass are amenable to treatments by various forces. 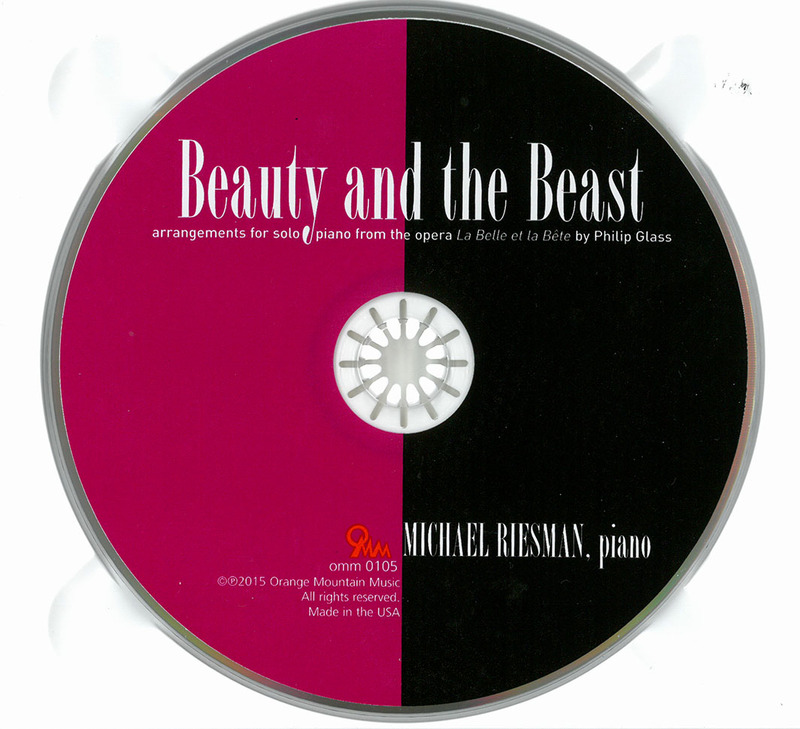 That said, it's hard to tell why ordinary listeners should seek out this arrangement (and alteration, tightening it up) of the score by pianist Michael Riesman; if you're new to the work, the whole multimedia production is the way to go. 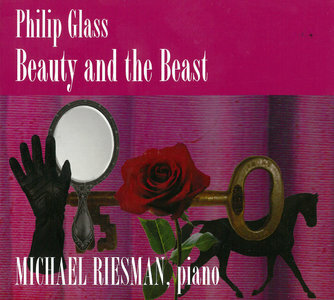 On the other hand, Glass fans will find plenty to appreciate here in terms of understanding how Glass manages to suggest the trappings of traditional musical languages without abandoning his characteristic repetitive structures (leaving aside the vexed question of whether he is "minimalist" or not). Heard on a piano, the operatic content of Glass' score largely disappears; the lines sung by the singers are part of Glass' ongoing structure of chords and shifting textures. 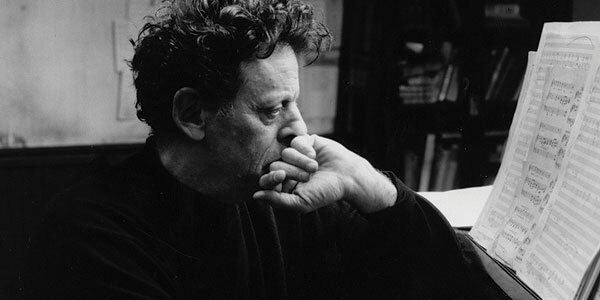 Riesman bounces off this conception in turn with cleanly delineated moods that evoke the cuts from the film, denoted by their titles in the graphics. 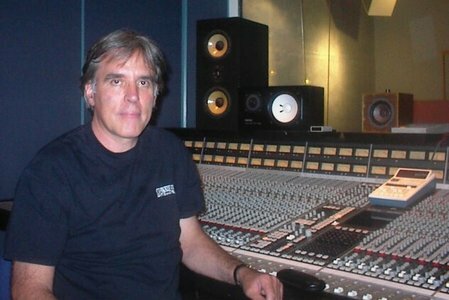 The engineering from Glass' Orange Mountain Music label is, as usual, impressive, captured in a studio in Yonkers, New York. Recommended for Glass aficionados.